Hey guys! I am so happy it's the weekend! Finally I can catch up on my sleeping! And finally some outfit post! Taking inspiration from the short, sometimes flirty skirts worn by figure skaters, I have decided to jump into the idea of wearing one. It was meant to be worn during summer when temperatures are less forgiving but since in Manila we get more rains or not, this means I can wear one as much as I want. I was kind of hesitant to wear a skater skirt because I wasn't sure it would flatter a size 14. But I'd say not so bad. 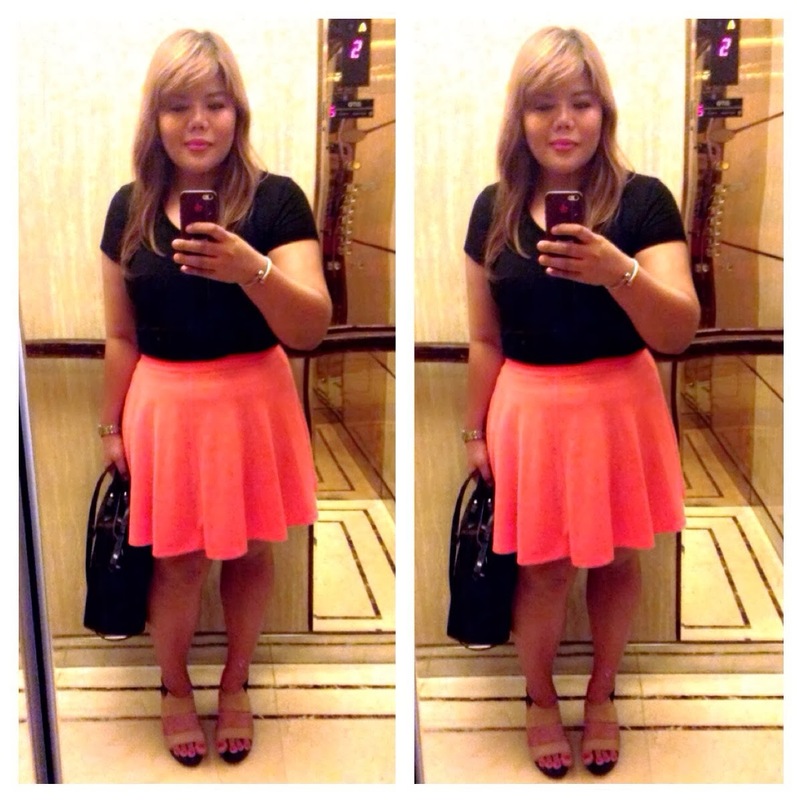 This was an outfit I wore when I watched some Women's World Cup 2013 games at Resorts World. So if you are full figured like me, go ahead try it on! 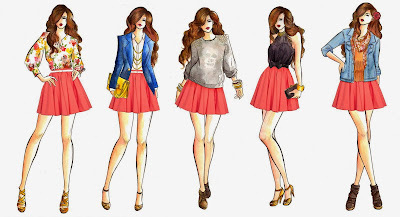 And ooooopppps, take a cue from this article by Cafe La Moda to help you understand more about the skater skirt fashion. Have you tried the skater skirt lately? How was it?